In today’s fiercely competitive talent market, low-cost, telehealth solutions can help self-insured employers significantly reduce healthcare costs and stand out as one of your community’s best places to work. For some companies, especially those that are self-insured, the rising cost of health insurance coverage is as much of a battle as attracting and retaining great talent. MDLIVE works with you to develop telehealth solutions that cut healthcare costs and give your current and potential employees unique benefits. 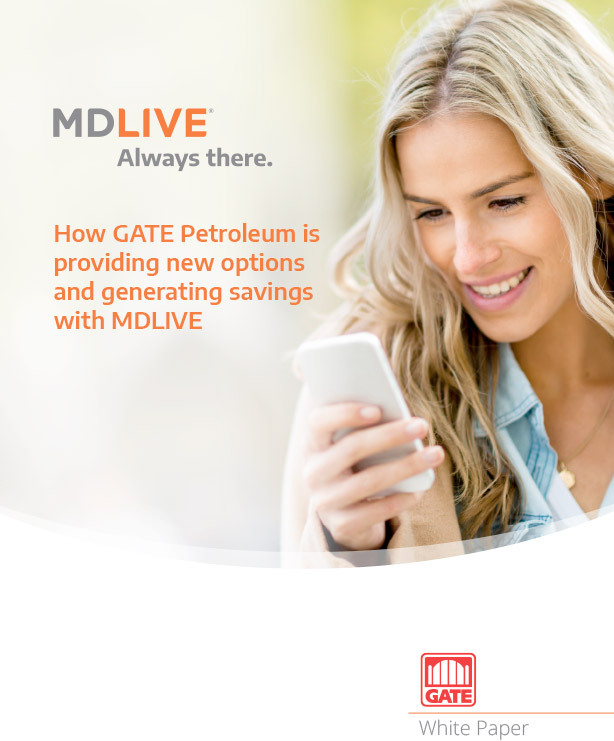 Since GATE Petroleum launched MDLIVE telehealth benefits for its 3,000+ employees, more than 19 percent have used the service, yielding the company a 56 percent ROI.